As Thanksgiving day approaches, frenzied preparations for a magnificent feast, rampant thoughts of Christmas preparations, and busy family schedules can take over. To help you focus on gratitude while balancing all your obligations, we've rounded up our favorite books, music, journals, and more that will remind you to be grateful in all things. 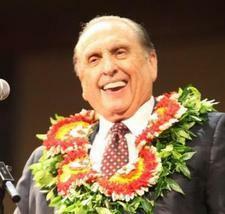 President Monson always taught with such a personal touch, as he often shared inspiring personal experiences. This time of year easily lends itself to the desire to ponder and count our blessings. Consider the Blessings presents 50 of the true accounts President Thomas S. Monson shared over the years. Who doesn't want to feel more grateful and less stressed this holiday season? This journal includes simple, quick prompts—focusing on gratitude, letting go of stress, and setting daily intentions—that are proven to increase happiness and set readers up for success every day. Each morning can be a time to renew our efforts in finding gratitude in our lives. ► You'll also like: 5 Simple Ways to Develop an "Attitude of Gratitude"
Through an exploration of sacred scripture, prophetic counsel, and personal experience, Brother Pinegar brings into focus the importance of daily expressions of thanksgiving to a loving Father in Heaven and those around us. From discussions on the true nature of gratitude to the far-reaching impact of giving thanks, readers are invited to shake off the world's doctrine of entitlement to discover the true and lasting joy of sincere appreciation. Ceramic bowl features white glazed finish with distressed detail and resist "thankful" sentiments around inner rim. Arrives gift boxed with 25 personalizable kraft cards. Pass and fill this keepsake to share the year's blessings with the whole family. The perfect Thanksgiving tradition! With over 40 subjects, such as family, Christ's Atonement, talents, serving others, hope, nature, and laughter, this book is sure to cheer your heart and lighten your step. Stories, heartfelt experiences, and quotes from scripture and beloved Church leaders will lift you to greater heights of gratitude for God’s blessings. Fill your home with these beautiful hymns of Thanksgiving. In this newly remastered album, over 500 performers from BYU combine in a concert celebration of beloved American folk hymns. A Thanksgiving of American Folk Hymns features arrangements of beautiful hymn melodies in stunning performances that leave audiences profoundly moved and inspired. The season to give thanks is here, and on this little tree, share a thankful thought or two for everyone to see. All you do is take a leaf and note the things you love. Then hang them up so you can share your blessings from above. What do you need to be happy? A TV? A cellular phone? A microwave oven? Hairspray? Hot, running water? Refrigeration? Mary Ellen Edmunds has lived in poor countries. She has seen the sometimes desperate conditions in which people live there. While observing their poverty, she has also taken note of their generosity and the gratitude they feel for the few things they own. Many seem utterly content with their simple lifestyle. In this humorous yet thought-provoking recording, Mary Ellen Edmunds explains how wealth is “relative.” You may laugh when she points out the absurdity of our advertisements for things we think are essential—that is, until you start to blush. Does she intend to make us feel guilty about the plenty we enjoy? No. But she would like us to reflect on our “riches” and see how being spiritually impoverished is an even greater disadvantage than not having shoes to wear. Journaling can help us see blessings in our lives. Use this journal to record experiences and notice the good in every day. Ceramic jar features embossed tag accent with "blessings jar" sentiment and real cork topper. Includes 10 kraft paper hearts to record those blessings to be thankful for. Whether gracing a table at a casual gathering or a nice fall dinner, this versatile tablecloth is the perfect touch. "Let our lives be full of both thanks and giving."